What internationally is That’s OKeh, in the USA is The Sound Of Next – a campaign to focus on new releases and new artists on the OKeh label. As I state in below press release, this is phase 2 of the re-launch and it is focused on exciting new acts – check these out and I hope you will be as excited as we are about these great developing artists. Following its re-activation in January 2013 with releases that included projects by Bill Frisell, Bob James & David Sanborn, Michel Camilo and John Medeski, SONY Masterworks’ OKeh Records is proud to announce their next wave of signings. 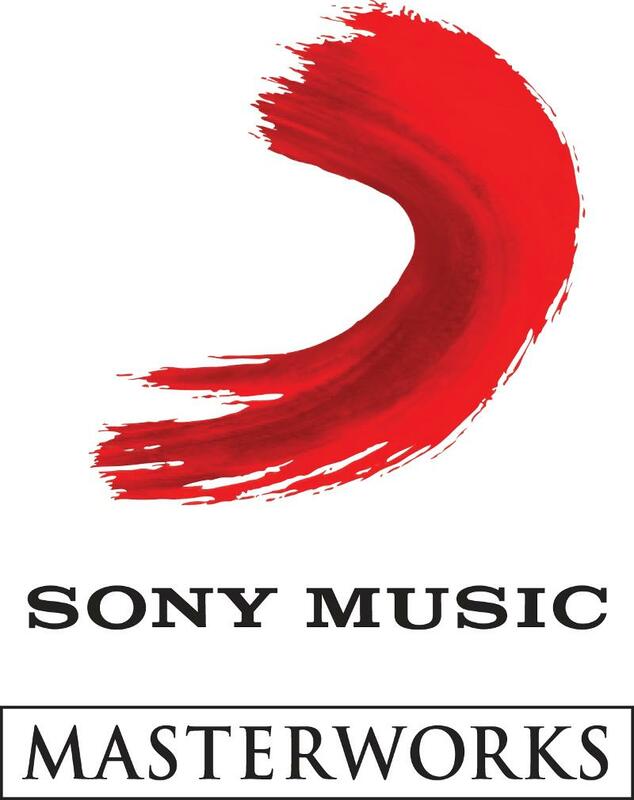 The artists, who are part of the label’s “The Sound of Next” campaign are: saxophonist Craig Handy, Tunisian oudist/vocalist Dhafer Youssef, guitarist Nir Felder, drummer Jeff Ballard, saxophonist James Brandon Lewis, African vocalist Somi, and trumpeter Theo Croker. 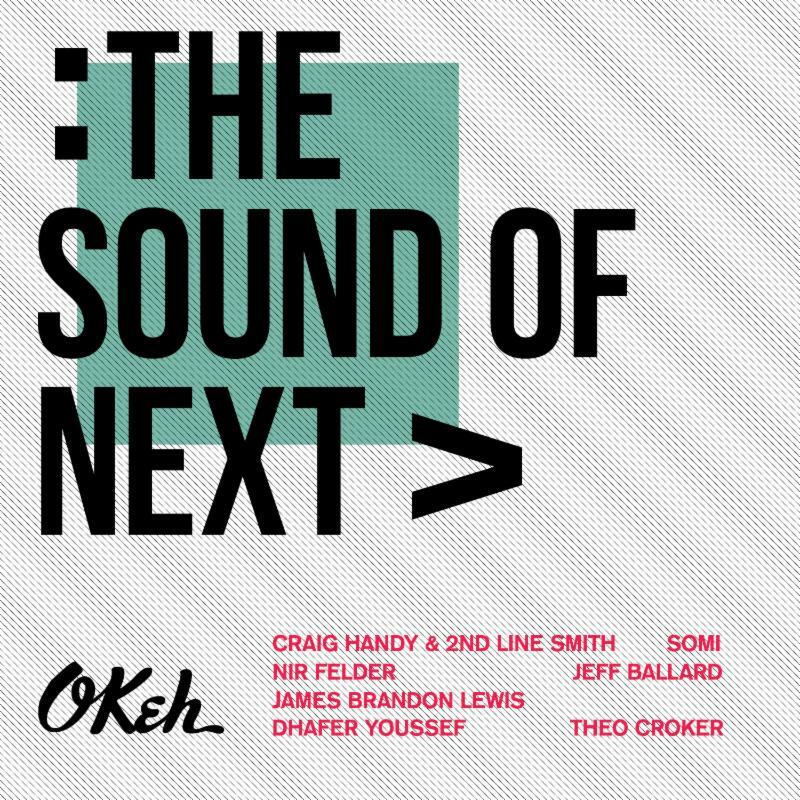 To showcase the label’s new talent in “The Sound of Next” campaign, OKeh will release a 7 track “The Sound Of Next” sampler featuring one song from each of these artists. I am feeling blessed or lucky, as I got to hear over the last two weeks some extraordinary music by some of the most exciting young and established jazz players around. The beginning was made by young master Christian Scott, who with his 30 years was the ‘old’ head in a group of exciting and powerful young musicians, which followed their leader wherever he wanted to go musically – the past, present or showing a way into the future – he was there and his band went with him. 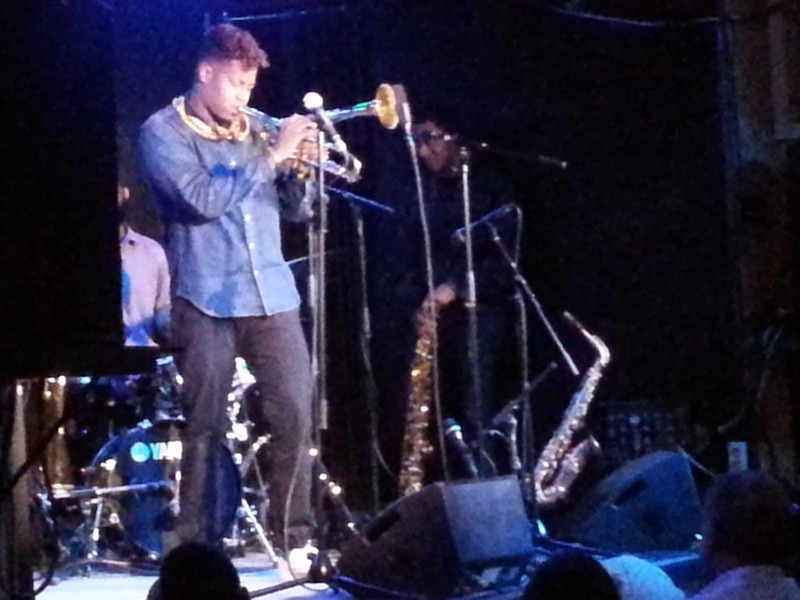 Branton Cook (sax), Lawrence Fields (p), Luques Curtis (b) and Corey Fonville (dr) were absolutely amazing, powerful and full of ideas and grooves and subtle moments, supporting the huge talent that is Christian Scott perfectly. For one song he brought out his wife Isadora Mendez-Scott, who is a very interesting singer with a great voice and control – the one song made me ask for more … but once the group got started again … what else could ask for. Amazing. 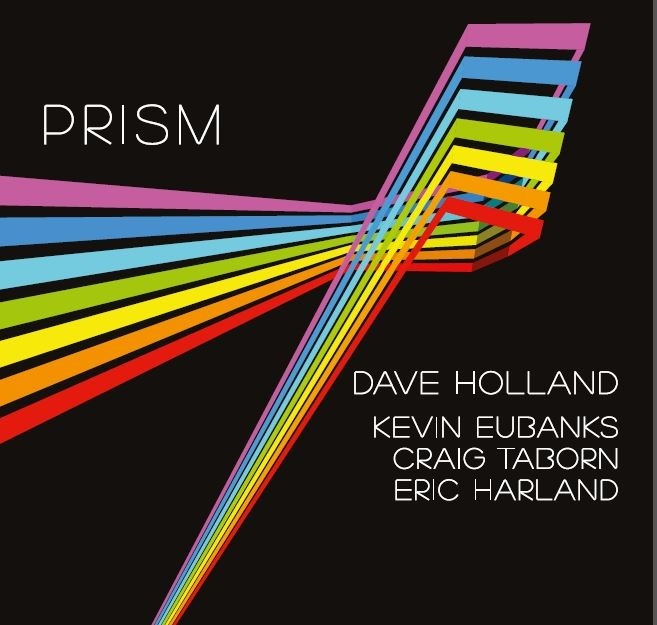 Next up was Dave Holland’s group PRISM at Ronnie Scott’s in London – two sets of pure energy, channelled through the musicality of each member of the incredible band, resulting in music making on the spot on a level seldom heard in a fast living world. The album of this group, as well simply called PRISM was just released a few weeks ago released to critical acclaim – the band consisting of bassist Holland, Craig Taborn on piano, Kevin Eubanks on guitar and Eric Harland on drums, did a few summer dates and I was blown away when I heard them, but what they added to the power of the initial shows and the album is a deeper musical understanding and therefore more possibilities to express themselves in the various songs, contributed by all members of the group. An all star group, but first of all a tight band, with lots of communication and the means to adapt the music to smaller or bigger venues. Both sets kept everyone in the room on their seats, open-mouthed listening in astonishment of the power and the beauty – 4 masters creating the sound of one band: PRISM. Probably the best gig of the year! And the record is top of my list as well. 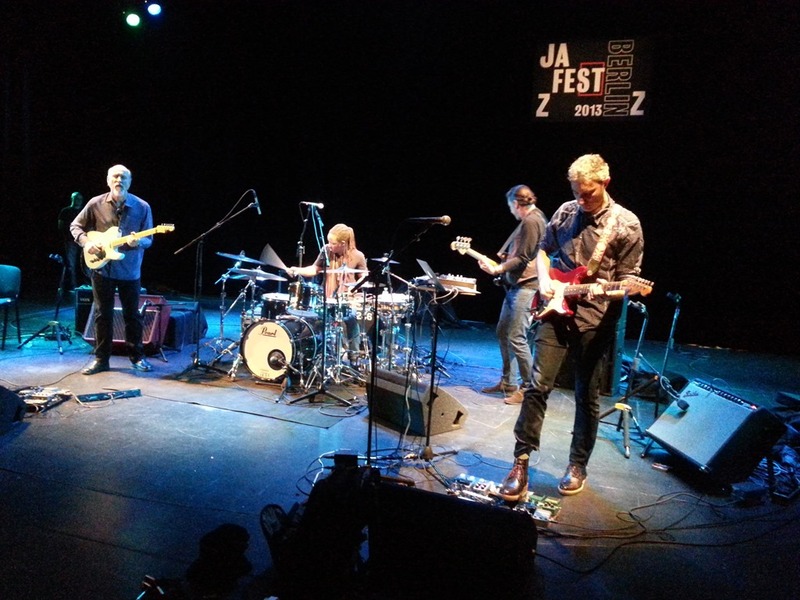 Not an easy one to follow, but if someone would be able to it would be John Scofield’s Uberjam Deux, playing in Europe in support of the album with the same name, which is the follow up to Uberjam, which caused a stir about 10 years ago when it was released. John Scofield and electronics … wow, was the resonance then and now it is still amazing how John keeps himself young by picking some great young players to contribute to his musical vision. The new band has one member who was as well in the original line up – Avi Bortnick (guitar and electronics) the rhythm section of Andy Hess (bass) and Louis Cato (drums) is new, but not bad at all. Hess is a great time keeper and pushing the guys to GO, and Louis Cato is simply amazing and brought the audience up from their seats, but it was Avi sand especially John who played absolutely amazing – Scofield’s guitar with a beautiful sound, dancing, rocking and expressing the joys of life, but with the occasional scream of pain and sadness, which unfortunately is part of life as well. A true jam band that doesn’t care how long the songs go, as long as they have something to say, find a new way to move over a groove and express themselves. John is the master, the rest on their way, but watch out for Louis Cato, drummer in this band, bassist on another, producer … and not even 30 yet! Check them out and get the record! And then, yesterday, back in Madrid – Gregory Porter. 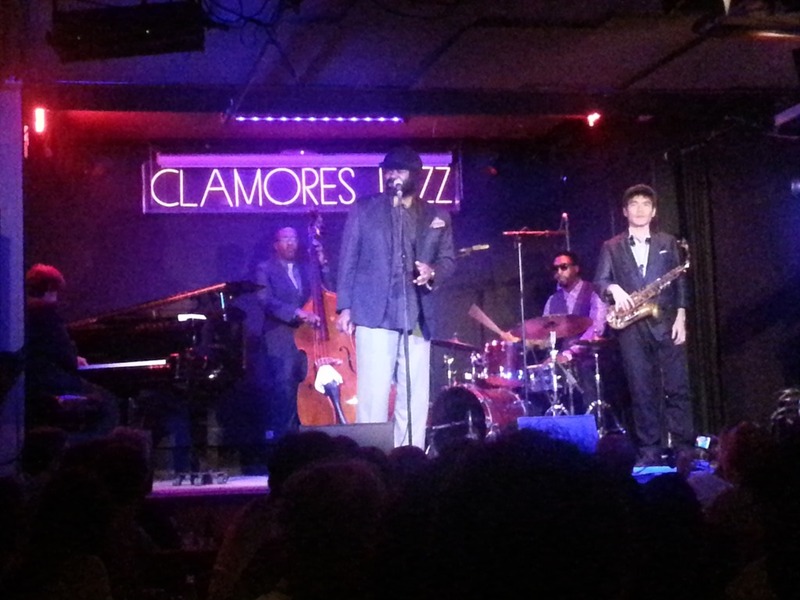 I have never seen the Clamores Club in Madrid so packed … and that was the second night. I am not sure they could have added one more person …. but they all came for the right reasons: Gregory Porter and his band. There is a lot of hype in Europe at the moment around this unique singer – and deservedly so: he is an outstanding performer, singer and songwriter, who brings something modern and cool to jazz singing that a younger audience can understand and appreciate. He performed songs from his new album Liquid Spirit, as well as from his previous two Be Good and Water. Power and fun, deep felt lyrics and beautiful sung standards or covers – he all makes them his own – a shot of humour and a Spanish standard as homage to his audience, all show a great artist who loves to entertain his fans and still being true to the music. A great show and Liquid Spirit is another contender for my album of the year. Didn’t I say at the beginning how lucky I feel to have seen all these great shows, heard all this amazing music? With running OKeh, which is doing fine, I have hardly much time to do anything else – reading some Donna Leon and tons of jazz mags to stay up to date, going to the movies occasionally – I can recommend La Vie De Adele and The Butler, both, so very different, are about life and its challenges and how to grow up and learn to be who one is …Worth seeing, both of them.